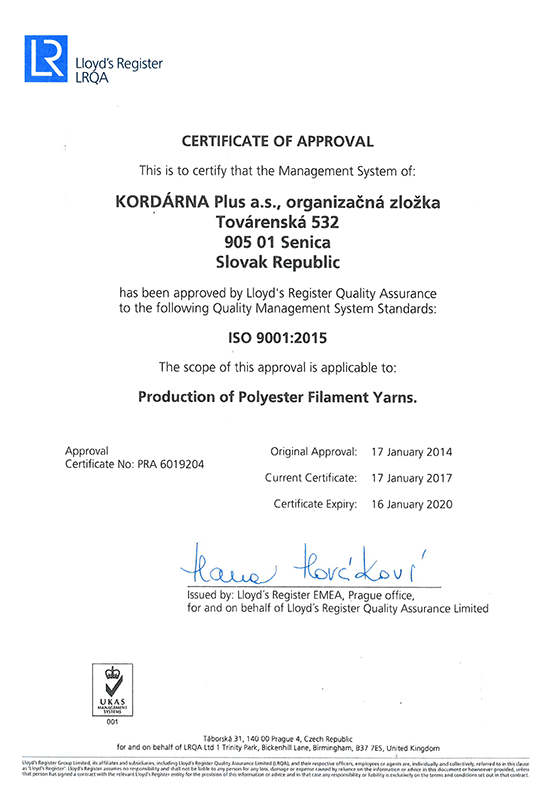 Company Kordárna Plus a.s. – KORDÁRNA Plus a.s.
Tire cord fabrics, as a key reinforcement element in tires, are commonly used in passenger cars, trucks, motorcycles and light commercial vehicles. Quality, performance and customer orientation makes Kordarna a reliable supplier serving the leading European tire manufacturers. Kordarna is the only integrated European company that undertakes the entire production process- from the production of fiber to the final fabric. Our technical fabrics are utilized not only in automotive, their use is wide in rubber, mining and engineering industries. In conveyor belts they create a base for the reinforcement. For the high performance and quality are sought after by the world ´s leading manufacturers of conveyor belts for different applications. 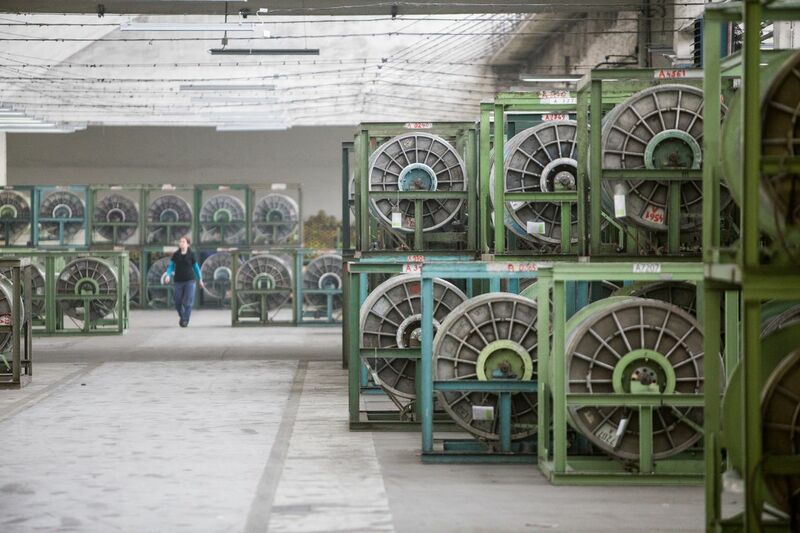 Kordarna’s own chemical fiber plant is producing polyester high tenacity yarns. The combination of the modern spinning mill along with Kordarna’s experience and know- how makes the company a unique, integrated supplier, the only of its kind in Europe. Thanks to the long tradition, constant development, machinery modernization and improvements to the quality management system, we have been able to fulfill the expectations of our partners on a long term basis. 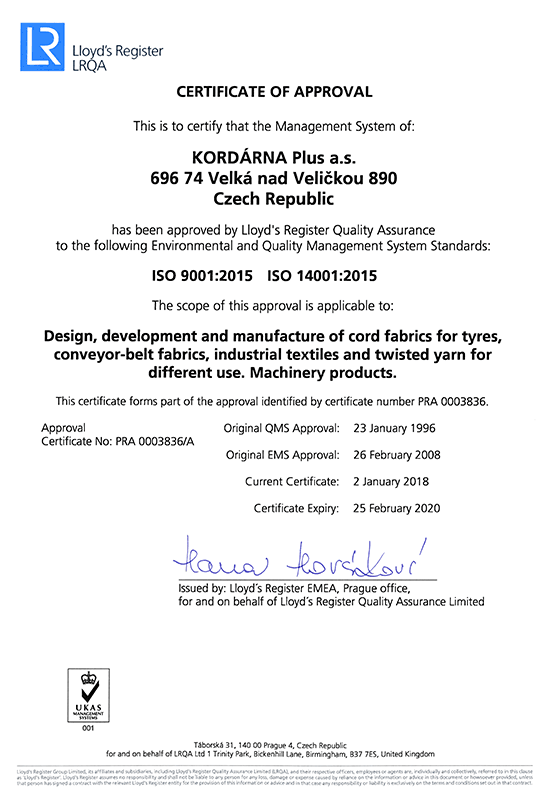 Kordárna Plus, a.s., remains a reliable and experienced supplier of technical fabrics on the global market with sustainable competitiveness and service. By having our own spinning plant we are fully integrated in production of polyester based fabrics, commonly used in automotive, rubber and mining industries. Our material serves as a key reinforcement element in tires and conveyor belts, as well as other applications. Our technical team keeps a close cooperation with our customers allowing us to work on special requests and offer custom made products. For our region Kordarna Plus, a.s., stands as a respected and stable employer. We believe that people make the difference and many of company’s activities are aimed to support the local economy and social aspects of people’s life. Our system of quality and environmental management policy is regularly verified and therefore guarantees the highest quality of the products and services. Our priority in all our activities is to satisfy customers, reach the operational excellence and efficiently use energy and raw materials. Kordarna’s history started in 1948 by producing cord fabrics made of the cotton, later viscose and polyamide yarns. In the late 1950’s the first impregnated cords left the company by being produced in a special impregnation chamber connected to the loom. Kordarna was gradually developing its own know-how and modernization of its machinery took place. The production range was expanded to include technical fabrics for conveyor belts and other rubber and mechanical goods. The automotive and overall industrial boom in 1970’s brought Kordarna among one of the most important companies in the automotive field and, subsequently, Kordarna became the largest European enterprise producing textile fabrics. Kordarna is constantly investing into the machinery, new dipping lines were introduced in the year of 2000. Twisting capacities then enlarged in 2007 and 2017. A very important step was made in 2012, when the production of polyester yarn was launched successfully in Senica, our chemical plant located in Slovakia. Since the time first rolls left our lines to the present time Kordarna have gained in knowledge, experience and providing of excellent service. Due to all this our fabrics are supplied to more than 15 countries in Europe, North America, South America and Asia.